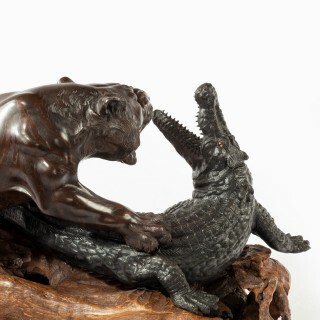 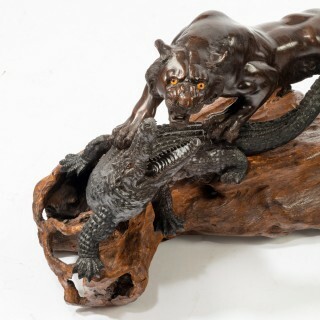 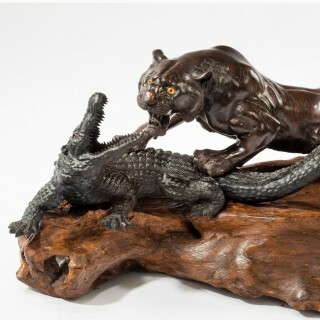 An unusual Meiji period bronze of a tiger and an alligator by Genryusai Seiya, the creatures modelled separately with the tiger attempting to pin down the snapping alligator, the pelt of the tiger and the characteristic skin of the reptile naturalistically rendered, on a rootwood base, both with the seal of the Genryusai workshop. 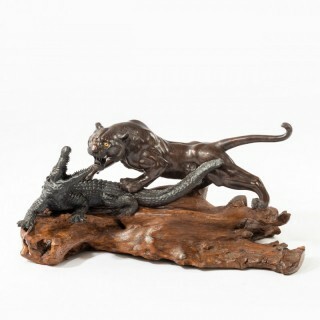 Japanese, c1890. 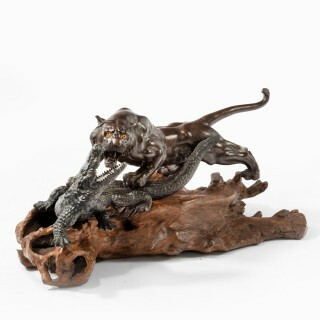 Footnote: Genryusai Seiya was the master craftsman in charge of a workshop which specialised in export wares of the highest quality. 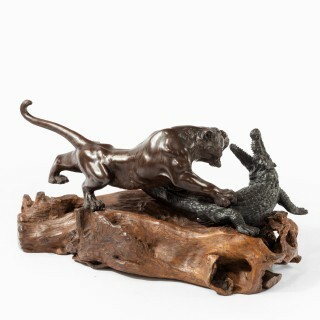 Production included human genre figures, vases and exotic bronze models of animals probably influenced by the opening of Tokyo Zoological Gardens in 1882.